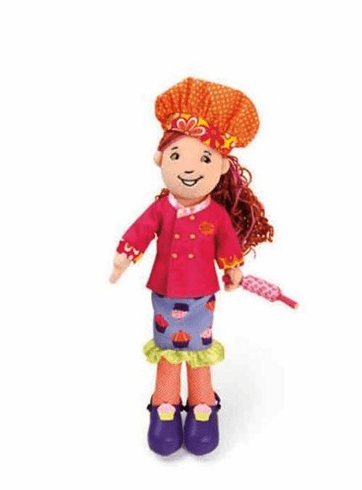 Cooking her way through a groovy day, Chef Charlotte is ready to make any meal anytime. Chef Charlotte has all the utensils needed for a delicious cooking experience. Her utensils include a chef hat and rolling pin. Charlotte will help you bake up any dish you wish!